« Why Hire a Reputable Deck Builder in Arlington, VA? For over three decades the fence professionals at Hal Co have designed and installed secure commercial fencing for Leesburg, VA businesses and organizations. We take your space, inside or out, gather your specifications and discuss your requirements for commercial fencing in Leesburg, VA. Then we help you select high-quality materials and features that make the most sense for your needs. Your operation’s privacy and security needs can be met with many types of commercial fencing configurations in Leesburg, VA. Whether you have mission-critical equipment to protect, inventory to secure, or a fleet of company vehicles that need to be safely parked, the commercial fencing professionals at Hal Co have the talent, experience, and training to deliver your commercial fencing solutions. 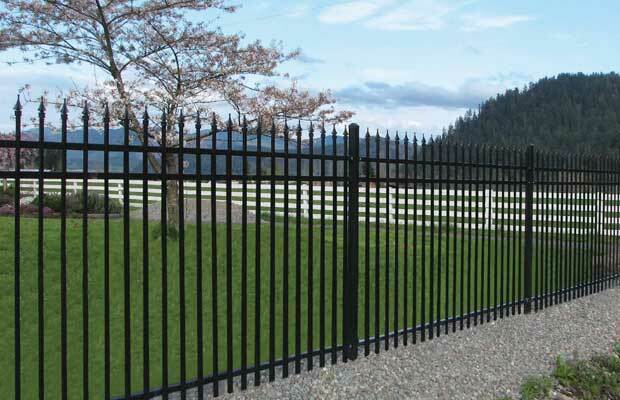 The Leesburg, VA area business community can expect skilled and safe commercial fencing installation and services from our company performed with your comfort and business objectives in mind. Whether you need commercial fencing wired in as part of your integrated security system or a multi-site commercial fencing maintenance contract, Hal Co is a full-service commercial fencing company serving Leesburg, VA. We work with you to assess your commercial fencing needs and recommend the most cost-effective options for your organization. Our seasoned team provides design, installation and service support for business owners, architects, developers and general contractors who need smart commercial fencing in Leesburg, VA. From conceptual estimates and budgets, to defining specifications during the preliminary stages of your project, through to project completion and beyond, Hal Co is committed to meeting your commercial fencing needs. This entry was posted on Tuesday, November 4th, 2014 at 3:32 pm	and is filed under aluminum fence, chain link fence, commercial fencing, Fences. You can follow any responses to this entry through the RSS 2.0 feed. Both comments and pings are currently closed.